Designhill 2019 review - why 4.2 stars? 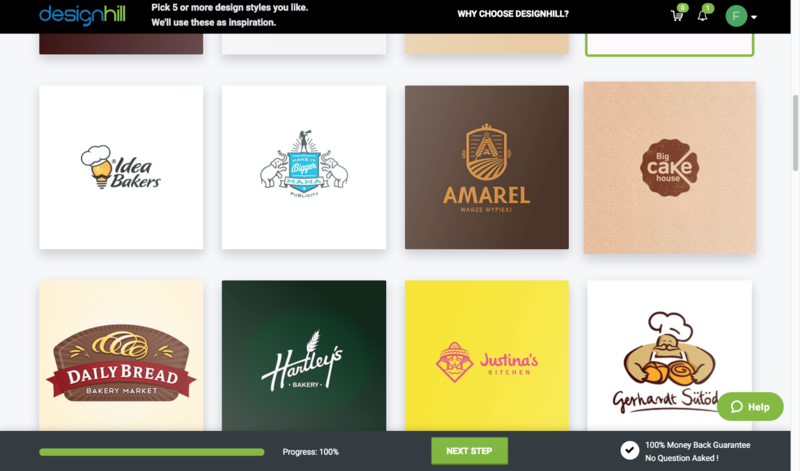 Designhill’s logo design service follows a crowdsourcing model. This means you decide on whom to work with. The platform is great for anyone who doesn’t have the time or desire to use a do-it-yourself logo service, and it’s equipped to help with so much more beyond basic logo design. With Designhill’s crowdsourcing business model, you describe the logo you need and then work with the designer you choose based on his or her sample submissions. Designhill allows for unlimited revisions on designs. If you need a logo fast, for set prices Designhill offers ready-made designs you can easily customize with your business name. There are no generic-looking images — all the art is top-quality. Designhill partners with established companies dedicated to helping users launch their business. Whether you’re looking for someone to help you print business cards, host your e-commerce store, or even assist with your taxes, you can post your logo contest and then check the “Partnerships” webpage for trusted suggestions to meet your business needs. I’ve found Designhill to be an efficient, user-friendly service. Just choose your desired product (logo design), and then input your company name and industry. Afterwards, pick some nice logos to give designers a sense of your preferred style. Next choose colors, and finally provide your email address. The following screen asks you more specific questions. Enter your business name again, include a tagline, explain your target audience, describe the logo you have in mind, and if you have any examples you like, upload them. Last, you’re ready to pick your package and upload your contest. Contests last a week, and then you have a week to choose your designer. If you’ve browsed the website and found a designer you’d like to submit a bid, you can pay to invite them directly. I was happy to see a phone number prominently displayed on the website. This is a rarity among online logo design services. Designhill’s live chat feature is impressive. I tested it after business hours, and a representative answered almost immediately. without overwhelming me with info or trying to push a sale. If you prefer to look up the answers yourself, there’s a FAQ section. As I mentioned, the number of products and services Designhill could potentially provide you is immense. Your price will depend on what you buy. The packages differ primarily in the number of designers expected to bid on your project, their skill level, and the level of promotion Designhill gives your contest. Greater promotion obviously results in a greater number of submissions, but the variety of designs can get overwhelming. Designhill is the place to go if you want a customized logo designed for you by professional artists. They can also take care of almost any other design need a business could have.